“Al-waqaaljadeed.com” Fri., March 05 April, 2019. Private. 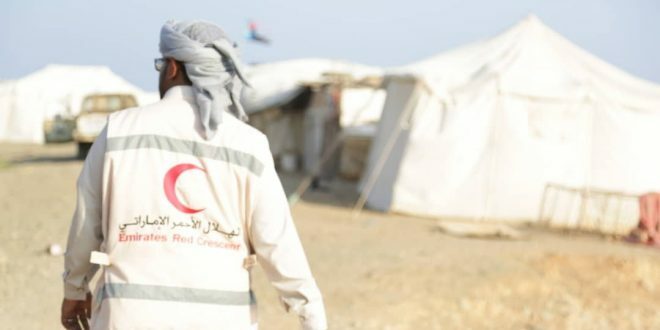 The UAE Red Crescent Society has provided urgent food assistance to the people of the Hossayhah district of Broum Meefa, west of Hadramout. A field team was keen to meet the needs of the population. In this regard, the Commission distributed 200 food baskets at a rate of 16 tons and 140 kilos, targeting 1,000 poor and needy families in order to bridge the food gap of these families, which caused the humanitarian and economic conditions to increase poverty and unemployment among their members. The people expressed their happiness and gratitude to the United Arab Emirates for the humanitarian assistance they provide to the needy.